Leading Manufacturer of battery operated strapping tool from Ahmedabad. 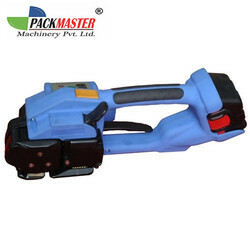 Assisted by a qualified workforce and advanced manufacturing unit, we are engaged in offering a wide range of Battery Operated Strapping Tool. Provide tool is offered by us is manufactured with the help of premium quality components and sophisticated technology under the guidance of our adroit professionals. Thoroughly tested upon various parameters to ascertain its excellent performance, our clients can avail this tool from us at rock bottom prices.